There are many touristic places in Kanagawa such as Yokohama, Kamakura and Hakone. Those places are quite easy to come from Tokyo. How about visiting Kanagawa after the sightseeing of Tokyo. In this article, we will show you recommended events that are going to be held in Kanagawa in May. Join those events and have better sightseeing. “Golden Week Special Guide” is an event that is going to be held at Kanazawa Zoo in Yokohama. This zoo is known for having many large plant-eating animals such as koala, elephant, giraffe, and rare animals that only this zoo has in Japan such as mountain goat and bos gaurus. In this event, zookeepers will introduce you to each animal. Their explanation is easy to understand. They will talk interesting things that you can’t notice just by looking at those animals. On 5th Many, an event called “Shearing Sheep Show 2018” will be held. Zookeeper will explain about shearing sheep with demonstration. Let’s go to see fluffy sheep being sheared in seconds! You need to pay entrance fee. 2. Hoist All Sails of Sailing Ship Nihon-Maru. Sou Han Ten Pan. On 13th and 27th May, 2018. Nihon-Maru is a sailing ship for practice that was build in 1930. Since then, this boat had been used for about 54 years till 1984, going around the earth 45.4 times. The distance reaches 1.83 million km and over 11500 trainees had been embarked. Currently this ship is preserved in this Minatomirai as it was and opens to the general public. In May, they are going to hoist all sails of Nihon-maru. This event is called “Souhantenpan”. The beautiful appearance with all sails full used to be called “Swan of the Pacific”. In this event, about 100 volunteering people will help hoisting the all of 29 sails and show you the beautiful appearance. You can also go inside the ship. They are also going to hold the class of ocean. So let’s get inside as well. Pola Museum is known for carefully selecting and exhibiting masterpieces of famous artists such as Monet, Renoir and Picasso. This museum is going to hold the first exhibition of Emile Galle. Emile Galle is an artist of glasswork. He is one of the artists of art nouveau in the end of the 19th century. He created many masterpieces with the knowledge and fine technics. In this exhibition, you can see his earlier works and even works of later years. The theme of the exhibition is “Nature”. Especially they put emphasis on “Wood” and “Sea”; most important things of his creativity for art. It is so silent inside. Because there are some café and restaurant, you can enjoy drinking or eating as well as art. It’s about 1 hour and half from Youkahama Station with train and bus. There will be “Yokohama Spring Fair of Flower and Green” at Yokohama, signaling the coming of spring. 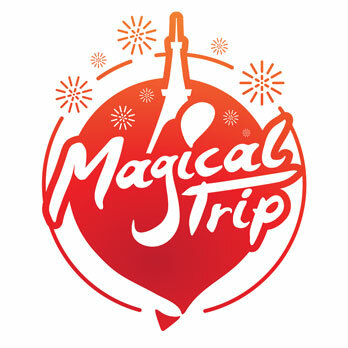 This year, it is going to be held at Yamashita Park, Yokohama Park, Zounohana Park and Nihondai-dori Street. At Yokohama Park, 160000 tulips of 69 kinds are in full bloom. There will be tulip popularity vote. At Yamashita Park, you can buy garden aid of flower and green. Also there will be exhibition of flower and tree, and stage events. At Zounohana Park you can see flowerbed exhibition. At Nihondai-dori Street, there will be “Nihon hanadori”. You can certainly spend cheerful and fun time at each site with a lot of flowers. Every site has attractions such as historical building, shopping place, café, restaurant and place where you can see the sea. So this event is also good choice for the sightseeing. Let’s go for a stroll and enjoy flowers. There are restaurants, sports facilities and garden with lots of blooming flowers in the premise of Kurihama Hanano-kuni Cosmos and Poppy Garden. This park used to be a place where warehouse of U.S. forces was. After U.S. force returned the premise, Yokosuka city had made it “Kurihama Ryokuchi” and the premise became a park. In spring, about one million Shirley poppies are in full bloom. Many people come visit this park to see them. Usually May is at their best. During Poppy Festival, you can see Island poppy, Nemophila, California poppy, Cornflower and Shirley poppy blooming in order. Every Saturday and Sunday they are going to have various events during the festival. Also on 2nd and 3rd June, you can join free poppy picking.